Announcement: Welcome to Annie Cosby! We’re so excited today to be announcing the first of our new authors from our 2018 submissions period. Please join us in welcoming Annie Cosby to the team! 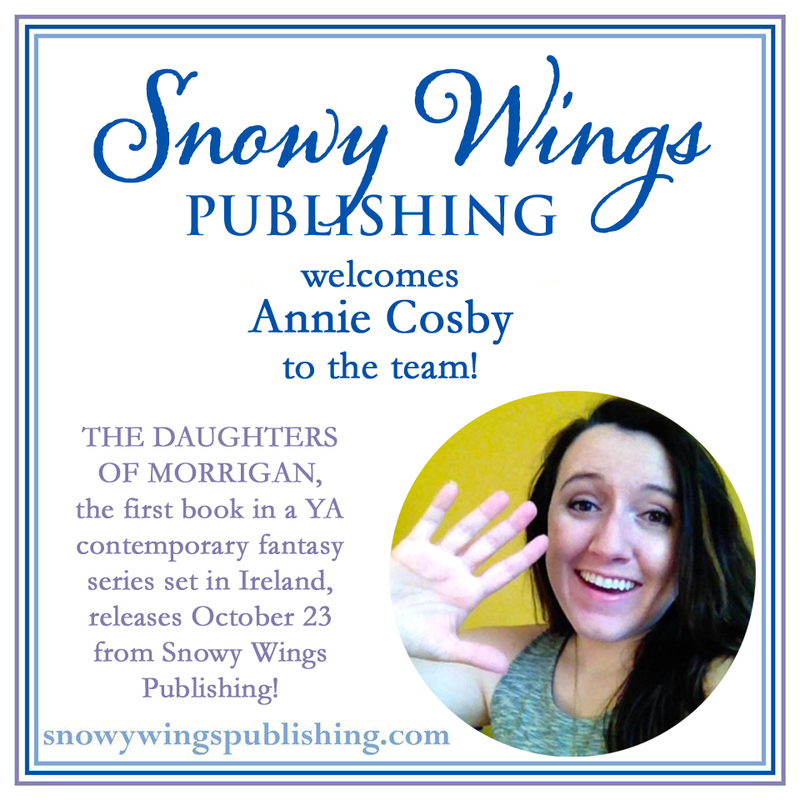 Snowy Wings Publishing is pleased to announce we will be publishing THE DAUGHTERS OF MORRIGAN by Annie Cosby in Fall 2018. The book is the first in an evocative young adult contemporary fantasy series that follows three girls raised in a remote castle in Ireland as they discover their true magical identities. The first book will be released October 23, with further books in the series coming in 2019. Annie is the author of the USA Today-recommended Hearts Out of Water series and countless other YA tales seeped in Celtic lore. We’re so excited to be adding her to the Snowy Wings family, and can’t wait to share The Daughters of Morrigan with you next month! Want to help with Annie’s first SWP cover reveal? Sign up here! If you’re interested in reviewing the book, be sure to sign up for our ARC team for information on how to receive a digital galley of The Daughters of Morrigan and our other titles!